Hi all! 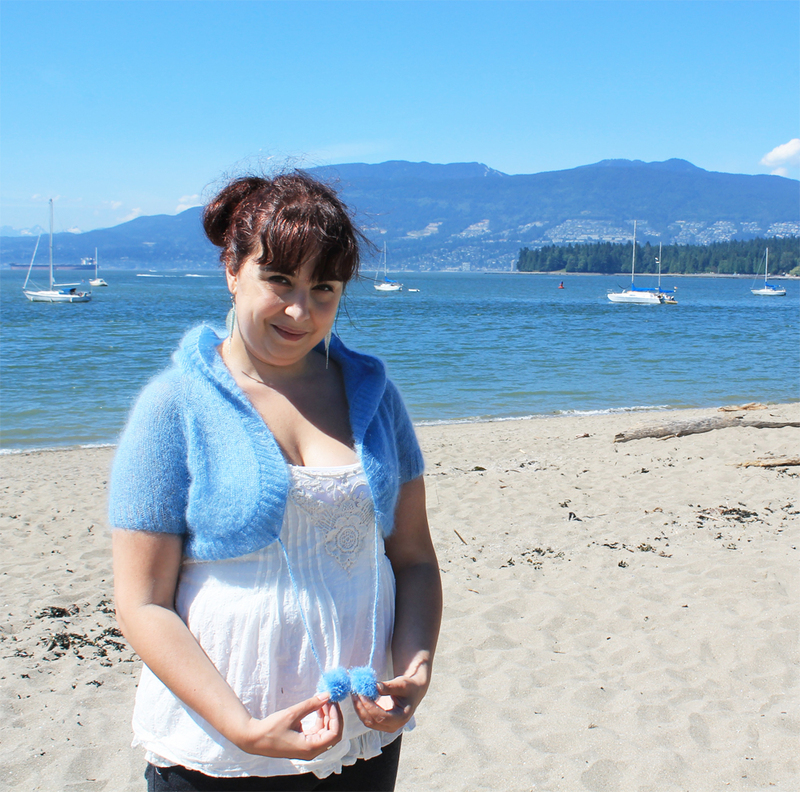 My new Glaslyn Shrug / Bolero pattern is now available on Ravelry and Etsy. 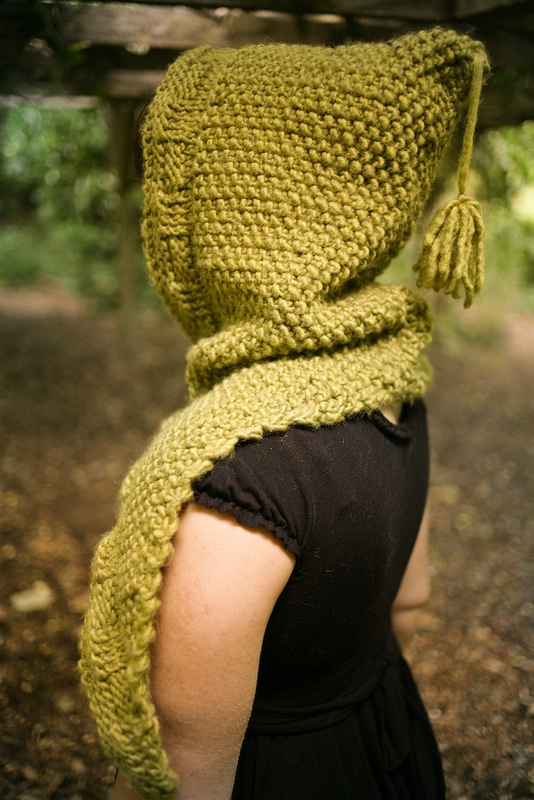 And even better, it’s on sale on Ravelry this month at 25% off automatically at checkout through the 31st. 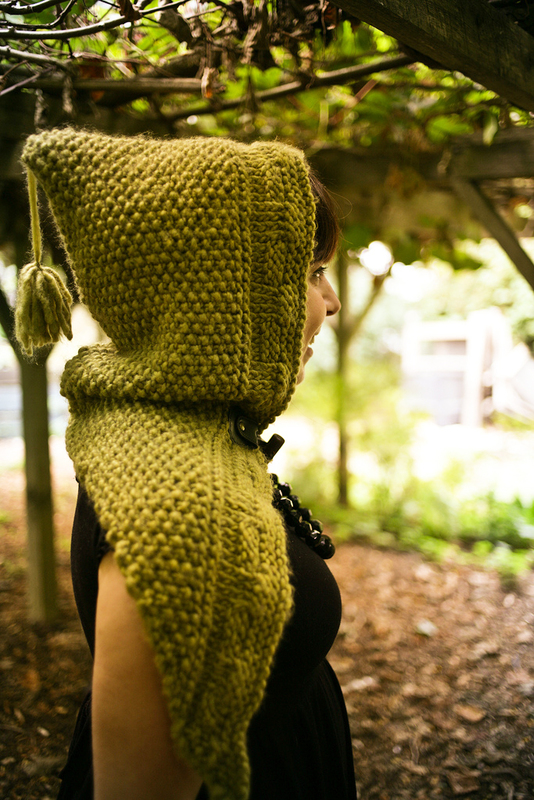 Glaslyn is a vintage style shrug or bolero with a pixie hood and pom pom ties. Wear Glaslyn over your favorite frock or sleeveless blouse during cool garden parties or a night out on the town. 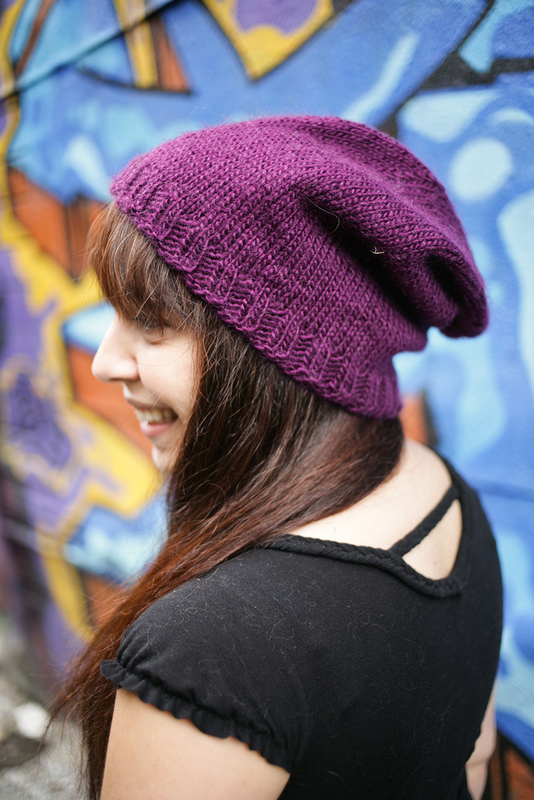 Glaslyn is worked top down seamlessly in the round in stockinette stitch. 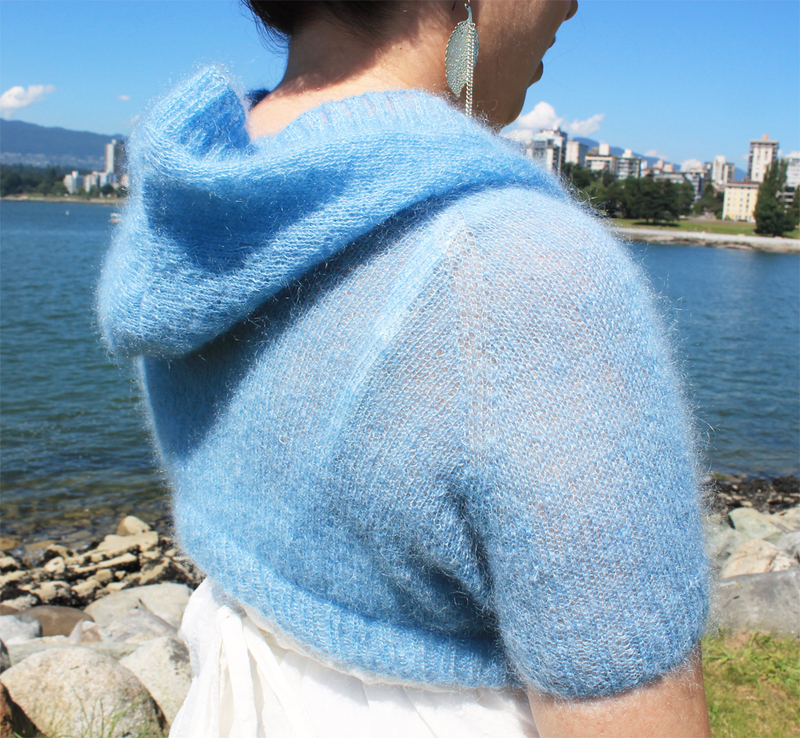 The shrug is worn with 0 inches of ease. For a looser fit, pick a size larger than your chest measurement. 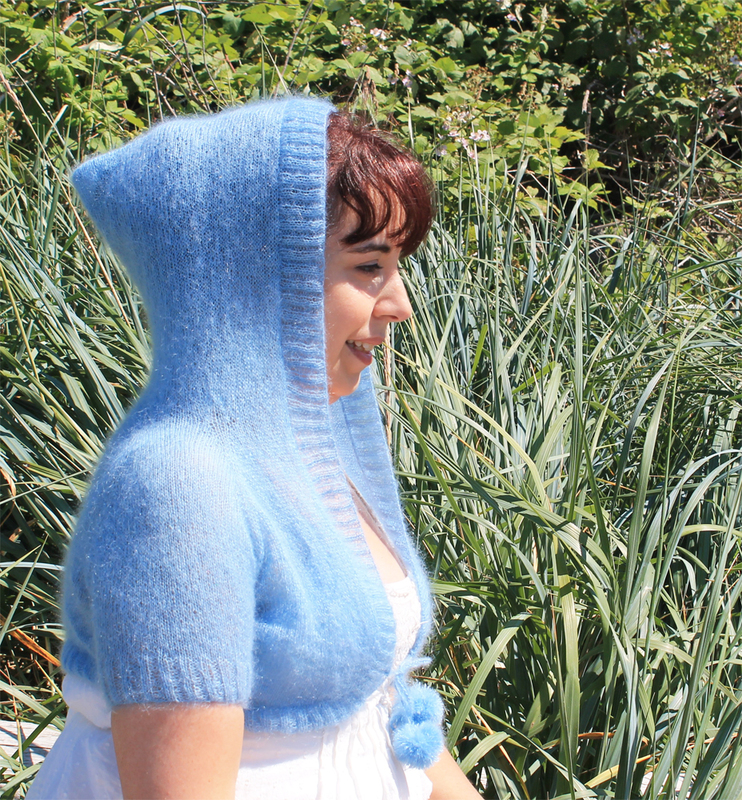 The adult women’s shrug sizes are 30” (34”, 38”, 42”, 46” 50”, 54”) at the bust. I’m shown wearing size 38” (with 0 inches ease). 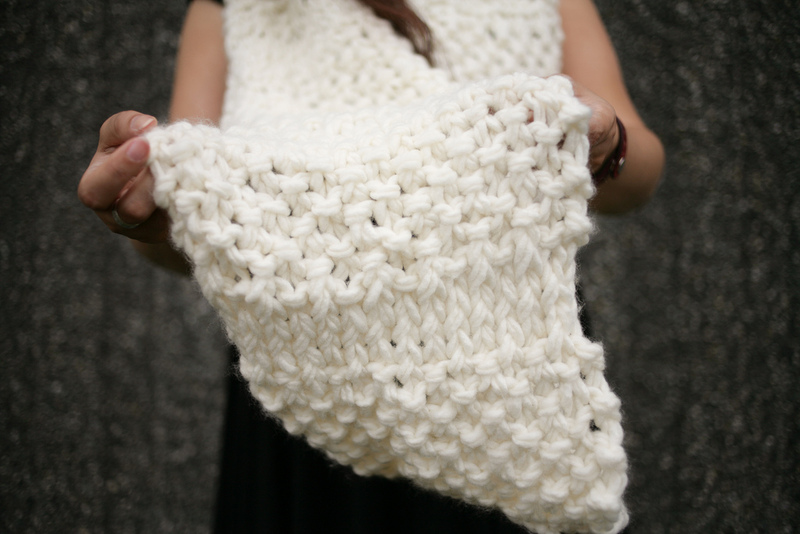 I hope you like the new pattern! 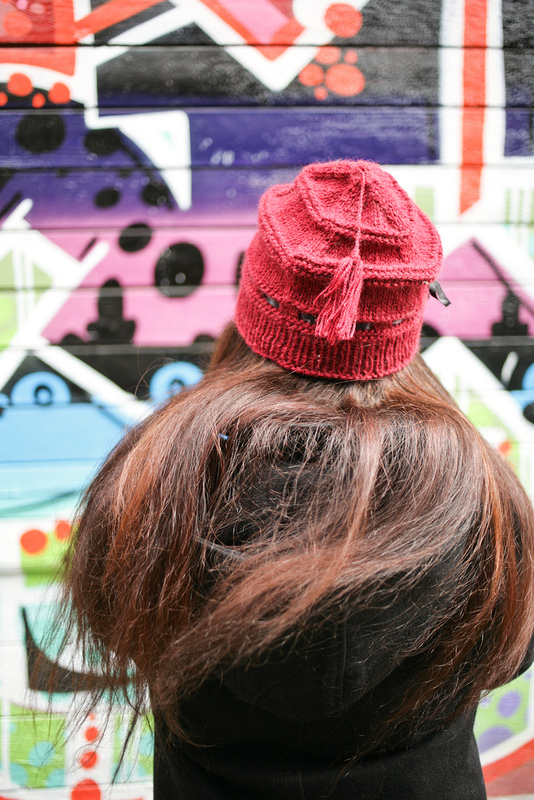 Urban Knitting has landed, the new book and e-book by The Red Fox and Gown. My advance copy arrived today in the post. I’m so excited! This has been a long time in the planning. Did I say I was excited? I am! 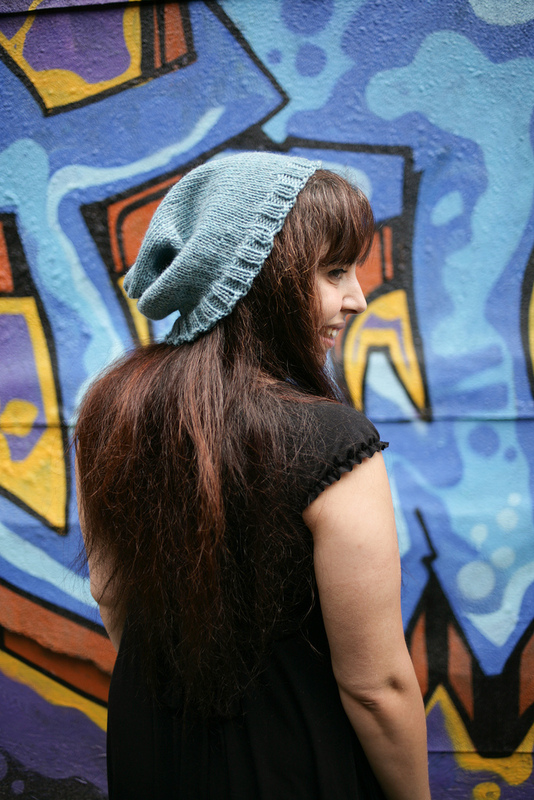 I decided to make a collection of seven of my existing patterns for Urban Knitting: From Country to City: Sage Woodland Hood, Cloud Cowl, Star Slouch Hat, Morgan Hat, Edinburgh Mittens, English Rose Hat, and Snowflake Boot Cuffs. 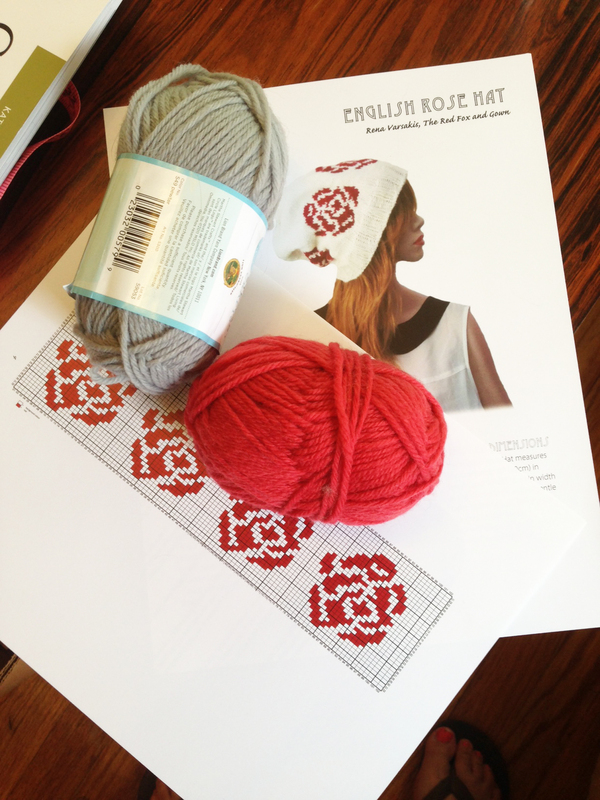 I also decided to include a general introduction to knitting for advanced beginner to early intermediate level knitters, including Needles + Tools, Yarn and Trouble Shooting too. 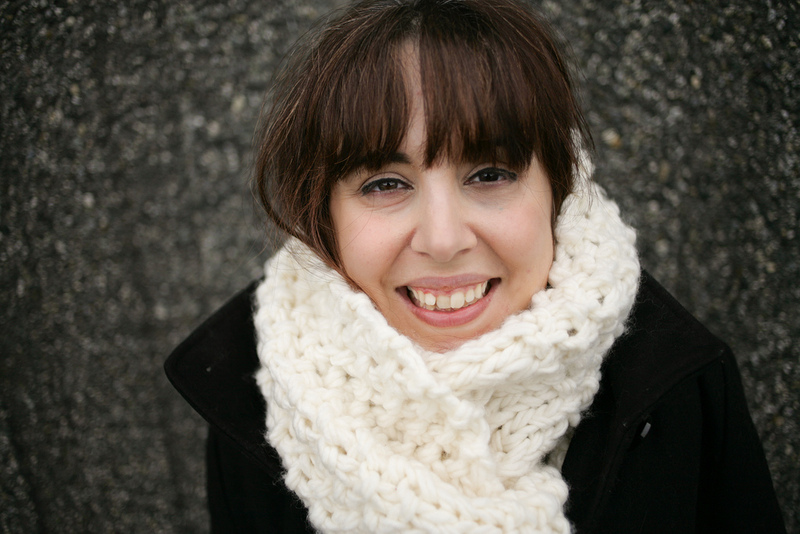 The book also features rich photographs from my travels around Vancouver and Europe, in urban and country settings. 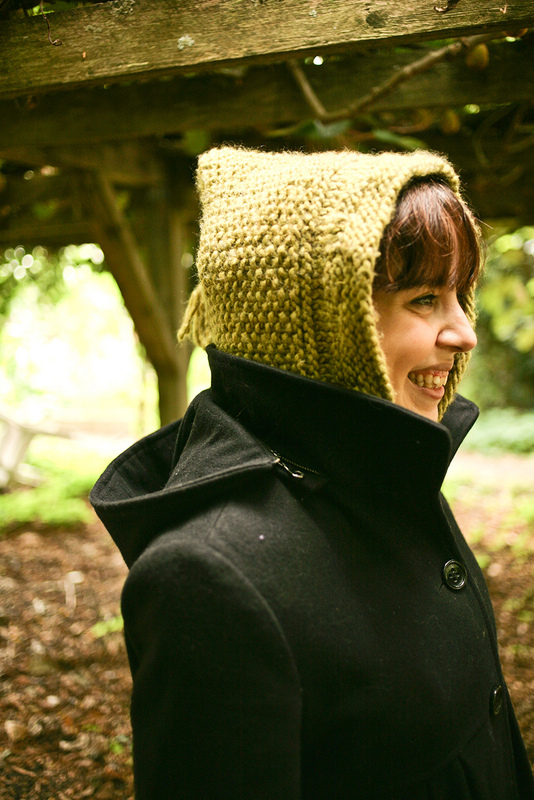 The book includes everything you need to knit up the patterns over 114 pages. 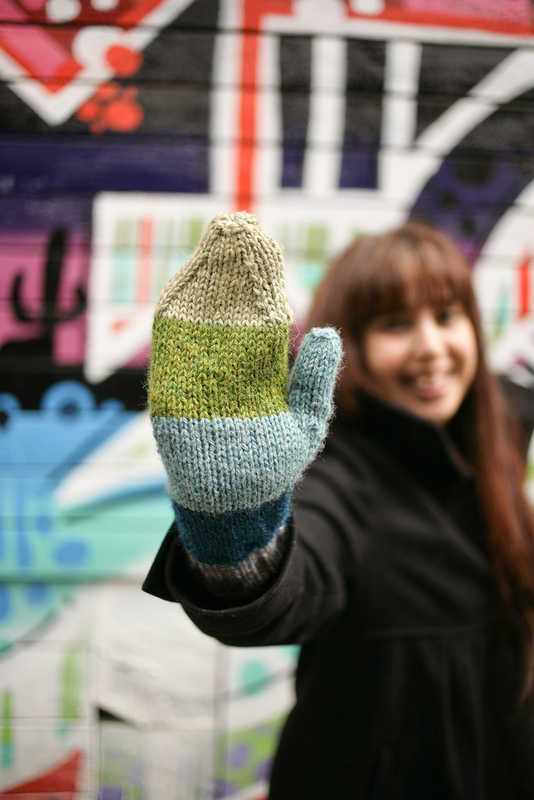 If you’re attending Knit City 2013 in Vancouver next month, you can see and touch the real book in person. 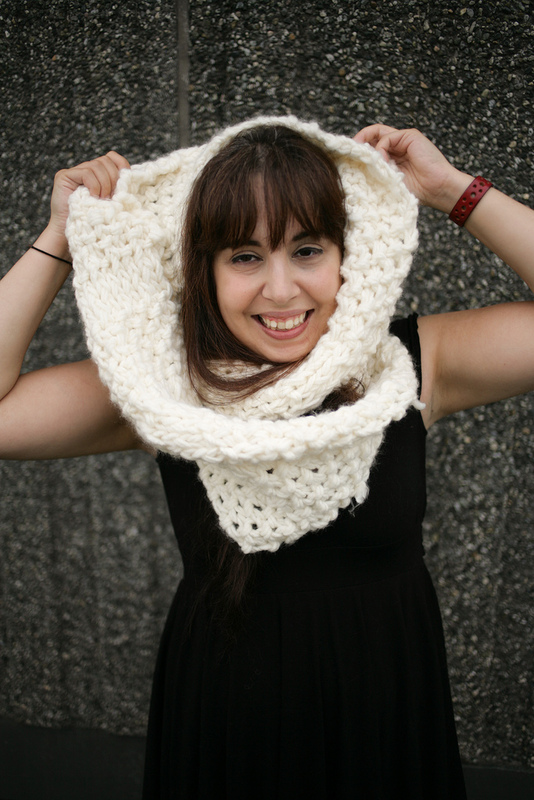 I’m selling the 6″ x 9″ softcover book for $25, and the e-book through Ravelry for $15. It’s a deal if you consider that the patterns retail for $5/each. Some folks like tangible books and some like digital, so I decided to make both options available. Please e-mail me at theredfoxandgown@gmail.com for book pre-orders through the end of October 2013. 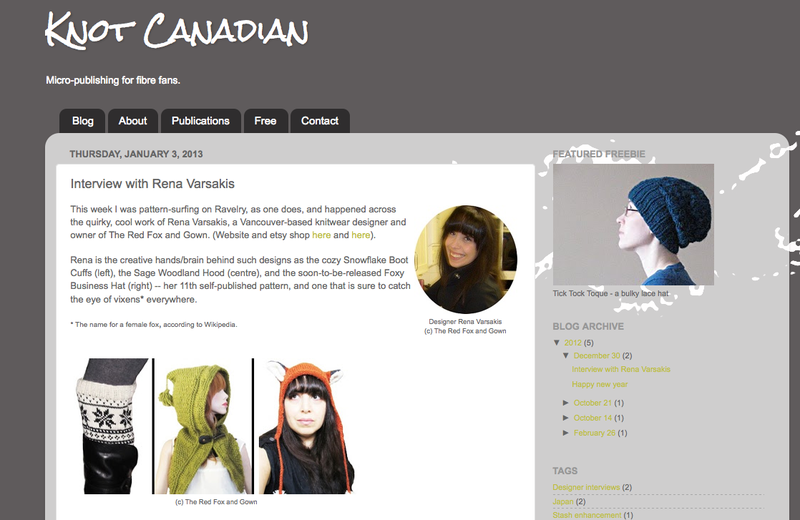 If you want the e-book, it’s available for download immediately on Ravelry. I received an exciting package in the post last week. I love packages, especially packages full of yarn. This package didn’t disappoint. And what was in said exciting package? 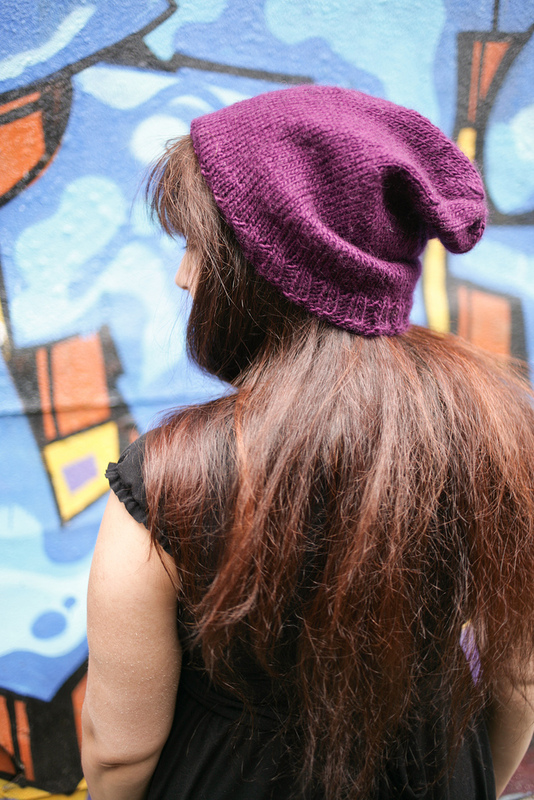 It was stuffed full of Malabrigo’s luxurious Silky Merino yarn. Yummy! I had to play with it immediately, a moral imperative if you will. 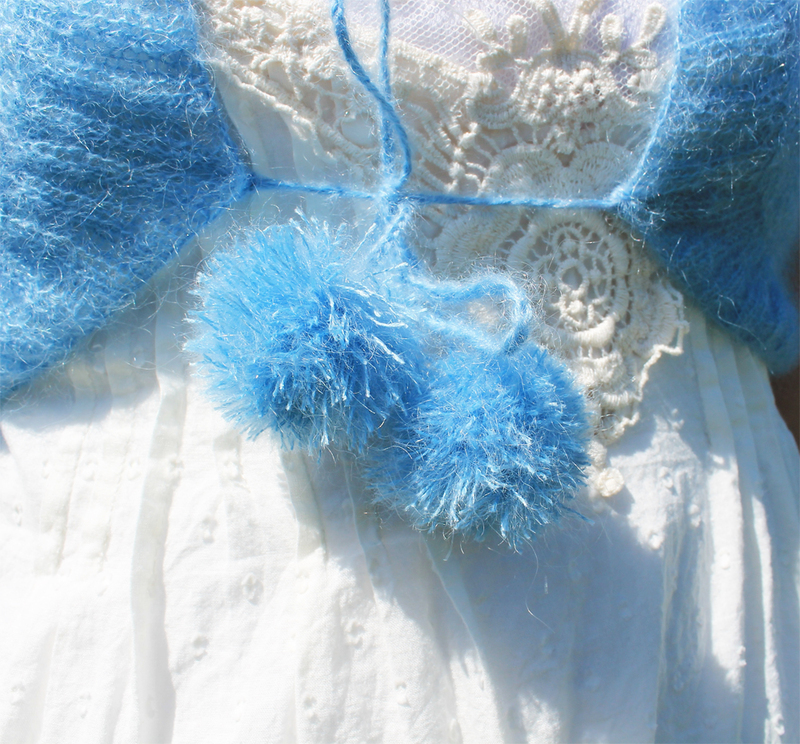 As you do with new yarn, I rubbed it against my cheek – soft as a cloud! Of course, I’ve never tried rubbing a cloud against my face but that’s what I imagine it would be like. 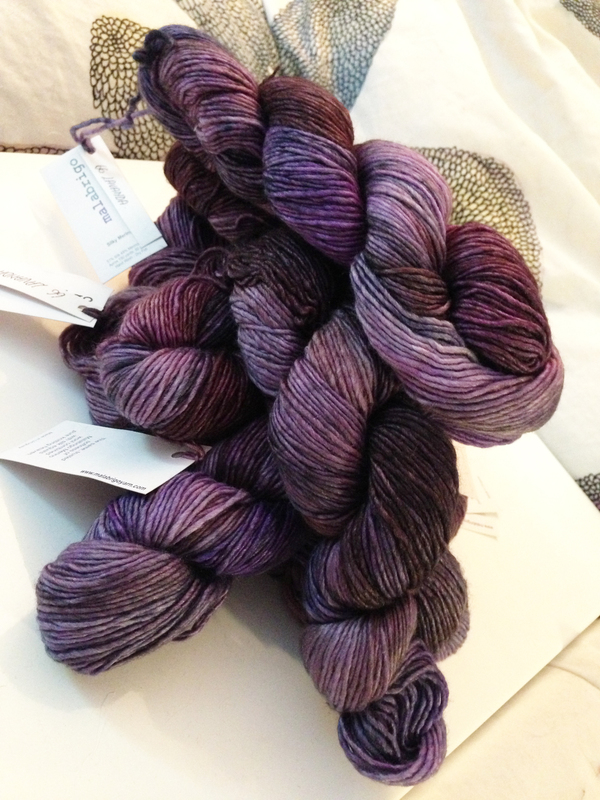 The Lavanda colourway looked absolutely splendid, a new colour added to Malabrigo’s extensive colour roster for 2012/2013. 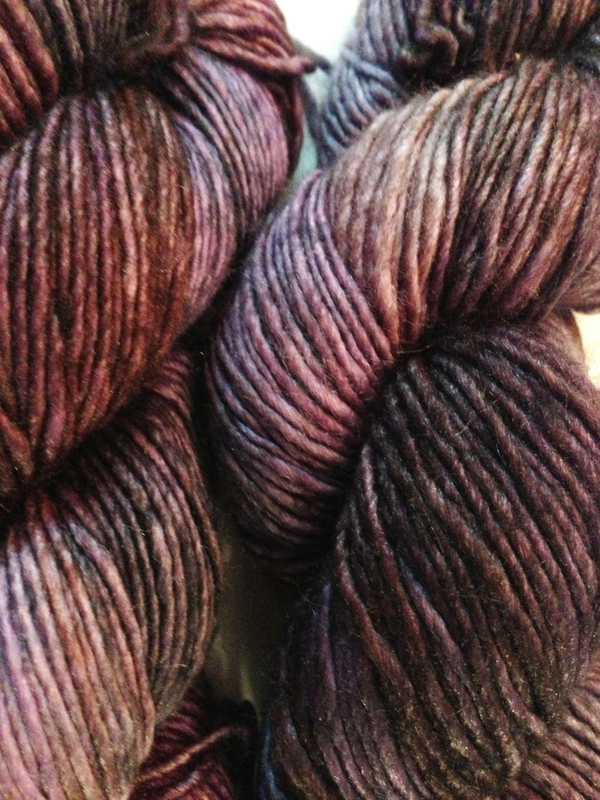 Deep, dark purples to hints of dark grey to lavender. 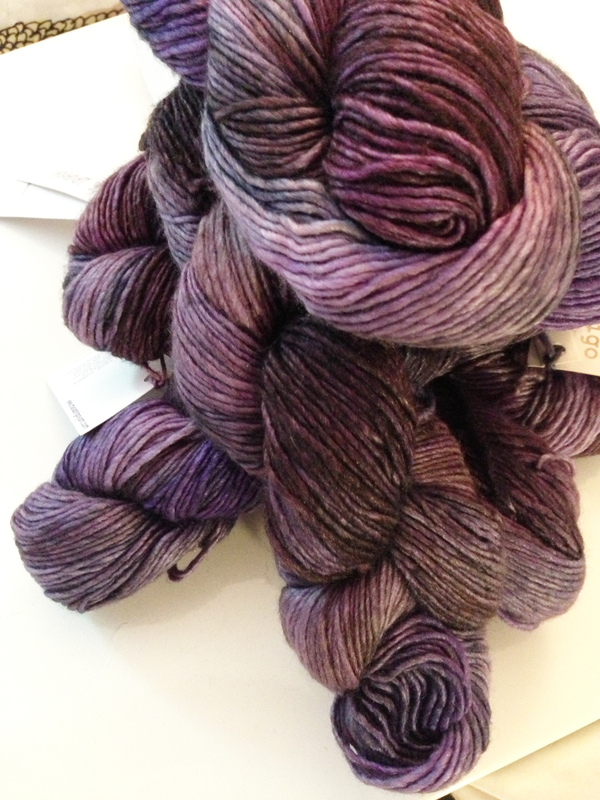 I definitely have a purple thing this spring, judging from recent yarn purchases. 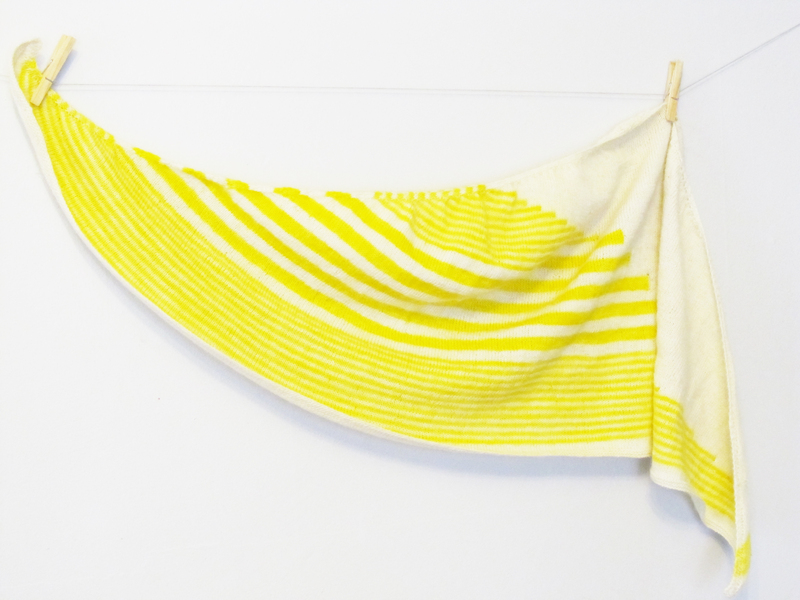 I confess this isn’t my first interlude with Silky Merino. I have said yarn in Sand and Smoke as well. Love! 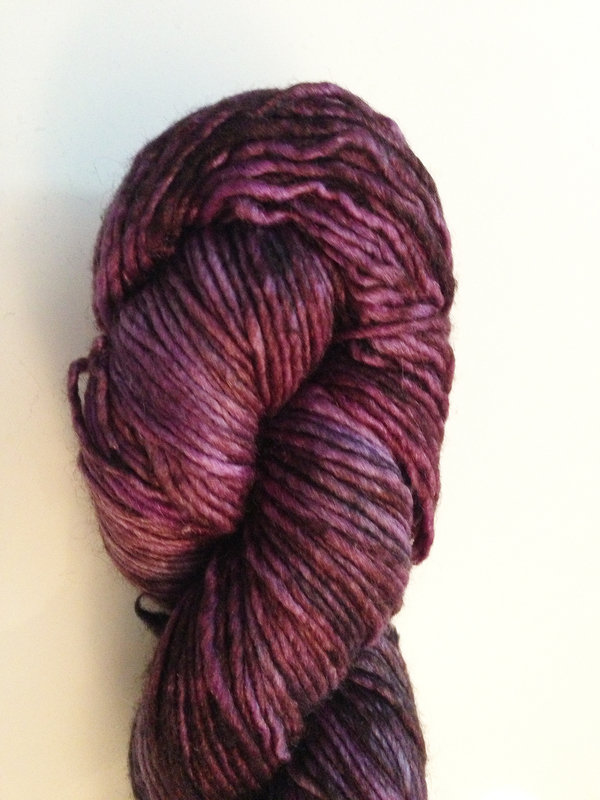 The 51% silk, 49% merino wool sparkles under the light, all 150 yards per skein (50 grams). I have to behave myself, show some iota of restraint. I don’t do restraint very well… but yes, restraint. I will have to wait to use this yarn. It’s in a queue for a garment to be released later this year. It’s all I can say. 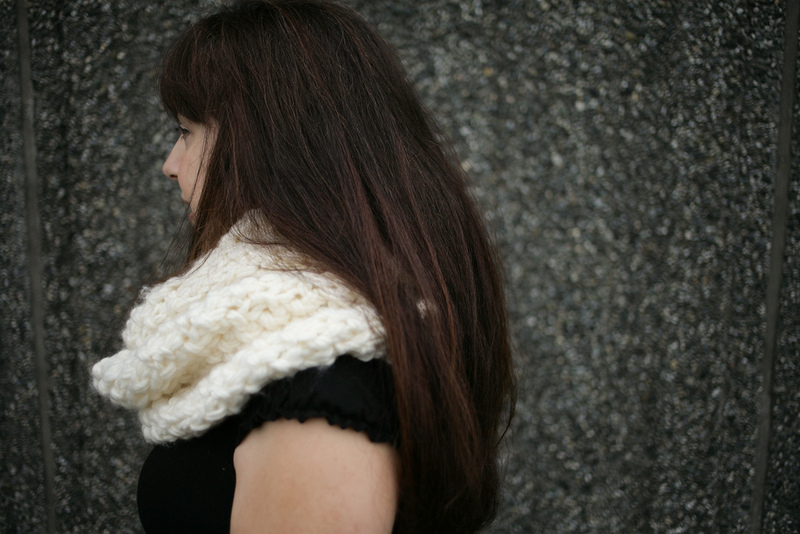 And maybe also that I have to release and submit a couple things before knitting the lovely Silky Merino up into its destined form by the fall.